Streetwear and sneakers have always run alongside each other through the streets of the world&apos;s largest cities. 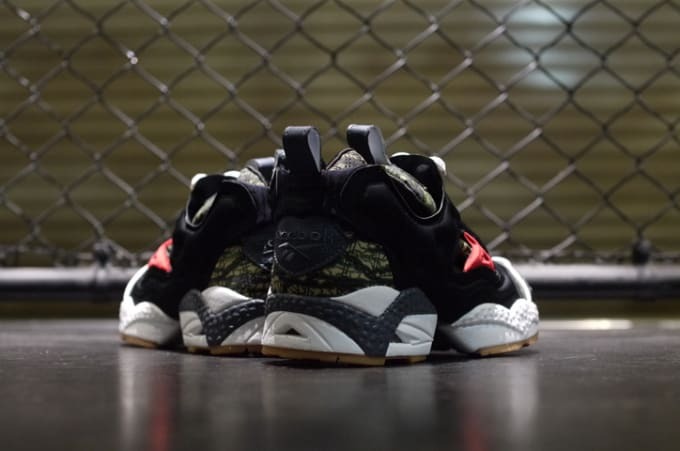 For this collaboration between Expansion, a New York based streetwear line with Japanese roots, and mita, one of Tokyo&apos;s most well-known sneaker labels, the Reebok Insta Pump Fury was chosen as the creative platform. One of the most popular silhouettes in Japan, the Insta Pump Fury is slept on in the U.S., in large part due to its crazy laceless shape. As one of the more comfortable retro running shoe models available, with panels begging for wild-style colorups, this Insta Pump Fury version is a mix of NYC inspiration with tiger camo print reminiscent of their New Balance sneaker with Phase 2 from a few years back. Look for these to drop this weekend at mita locations.